Linen duvet cover with cotton lace detail. 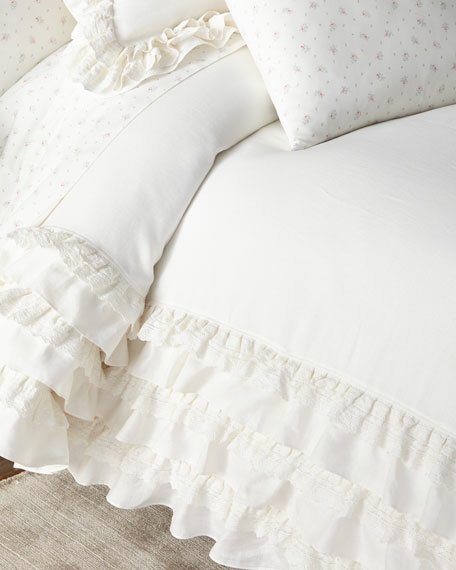 This Rachel Ashwell Petticoat White European Square Sham will bring a romantic finish to any bedroom. Crafted from white linen and featuring a lavish 4" ruffle of lace trim; this white accessory takes inspiration from a vintage Flamenco dress from Rachel's own closet. 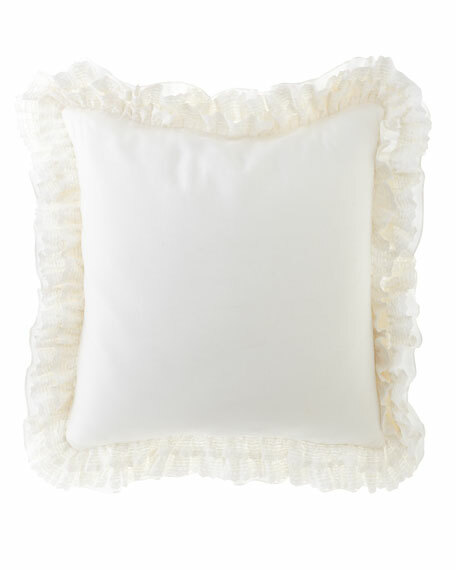 European sham with ruffled lace trim. Linen with cotton lace detail. 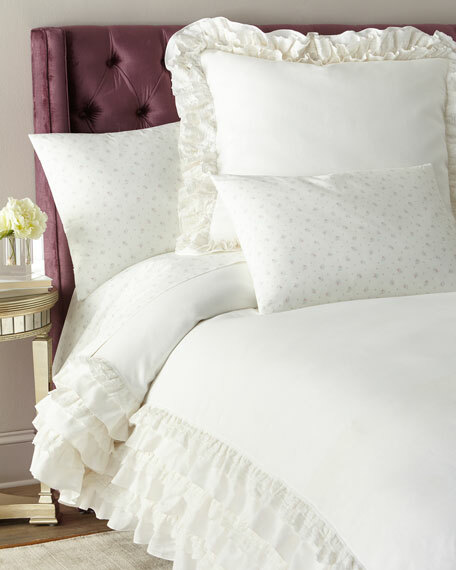 The Rachel Ashwell Pearl Pillowcase Pair is made of lightweight, breathable 100% cotton poplin for refreshing repose. The lovely design features tiny bunches of delicate pink flowers on a pure white poplin background with simple edges. An 18" zip closure adds simple, yet sophisticated functionality. 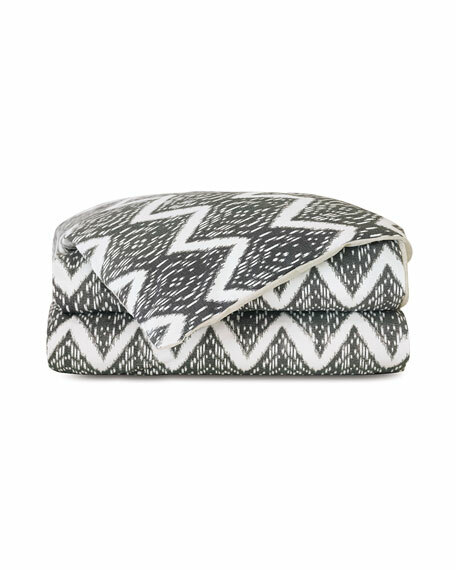 Set of two cotton poplin pillowcases. 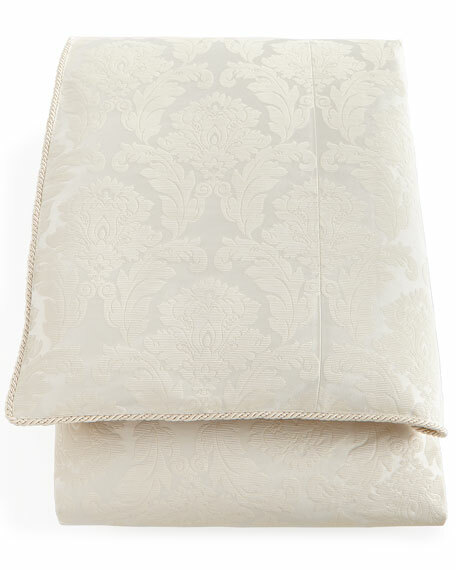 The Rachel Ashwell Pearl Fitted Sheet is made of lightweight, breathable 100% cotton poplin for refreshing repose. 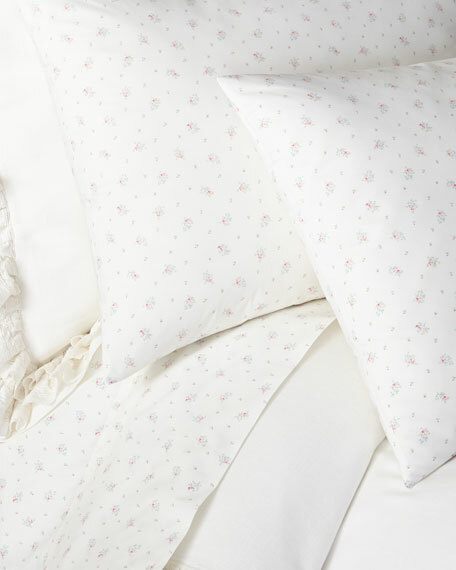 The lovely design, featuring tiny bunches of delicate pink flowers on a pure white poplin background, creates a charming foundation, fitting mattresses up to 18" deep. Fitted sheet made of cotton poplin. The Rachel Ashwell Pearl Flat Sheet is made of lightweight, breathable 100% cotton poplin for refreshing repose. The lovely design features tiny bunches of delicate pink flowers on a pure white cotton poplin background with simple edges. Flat sheet made of cotton poplin. Patterned duvet with solid back. 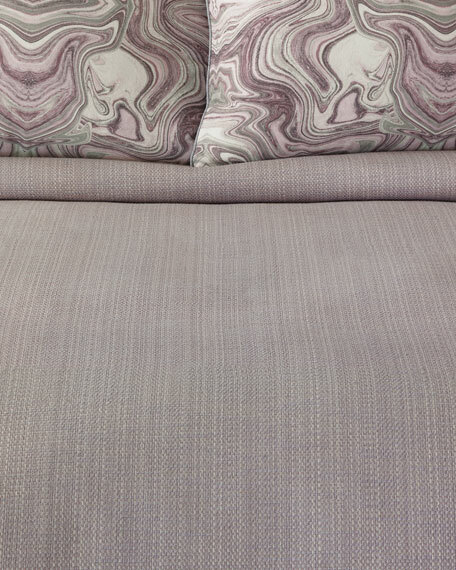 Cotton; cotton/rayon.Duvet insert not included. Dry clean.114" x 98". Oversized to accommodate pillow top mattress height.Made in the USA of imported materials. Duvet cover with knife edge finish. Fabric 1: cotton/polyester. Fabric 2: linen/rayon. Dry clean.114" x 98". Oversized to accommodate pillow top mattress height.Made in the USA of imported materials. 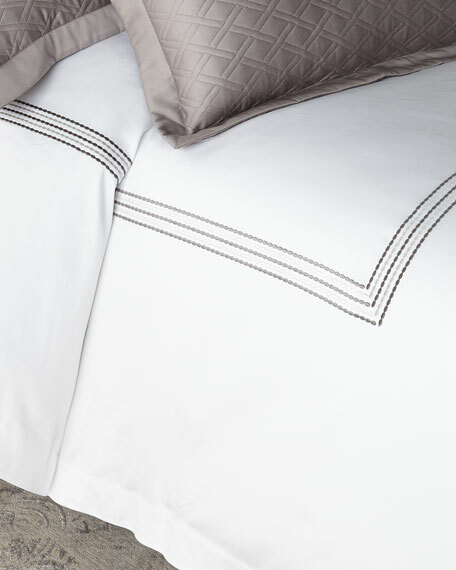 Inspired by the twinkling stars of the midnight sky, the five lines of embroidery in alternating classic colors grace our 600 thread count, Egyptian cotton, Italian sateen for a contemporary fresh look.